I started another Christmas project this past weekend, another set of placemats. 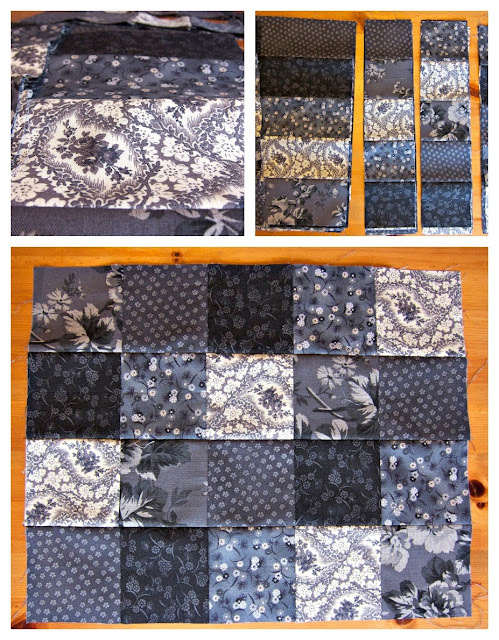 I had some cute black/gray/white floral fat quarters that I decided to piece together into a basic patchwork. That was the easy part. Now comes the hard part, for me anyway. I want to try my hand at appliqué and add some yellow flowers or butterflies but I'm not sure where to start. I don't actually have a pattern or the yellow fabric for that matter. I thought I'd also bind them using yellow just to give them a pop of color (the intended recipients have a gray and yellow kitchen). So, any suggestions on appliquéd flowers or butterflies? Anyone? 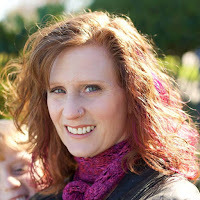 Linking up to Work In Progress Wednesday at Freshly Pieced and Needle & Thread Thursday at My Quilt Infatuation.